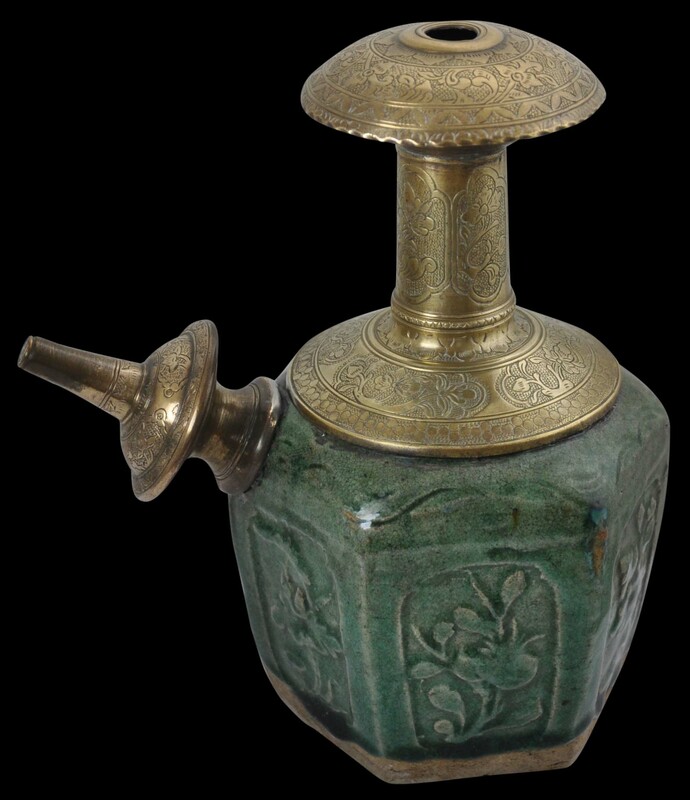 This ewer known locally as a kendi is for water, either for drinking or for hand-washing. 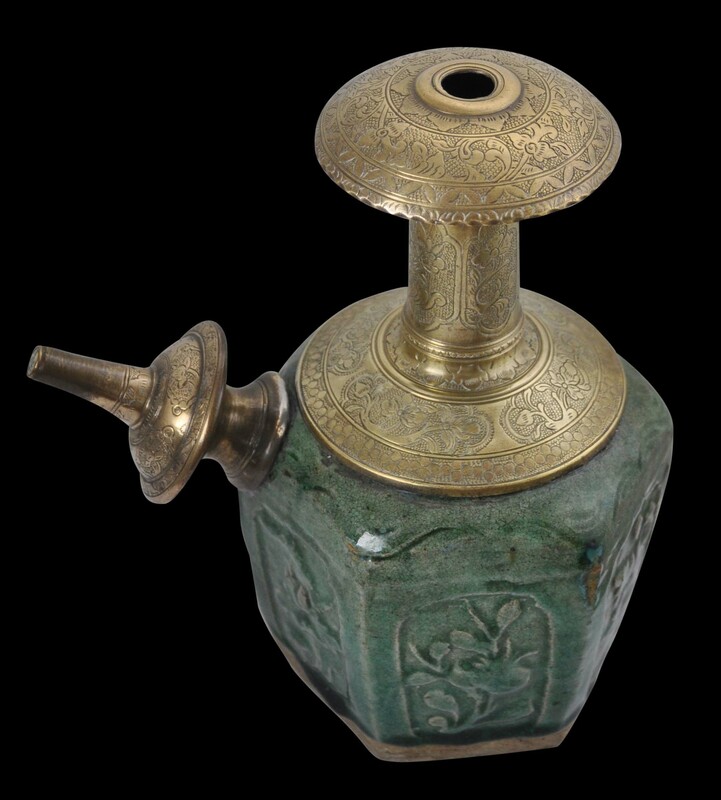 It comprises an earthenware base and engraved brass mounts. 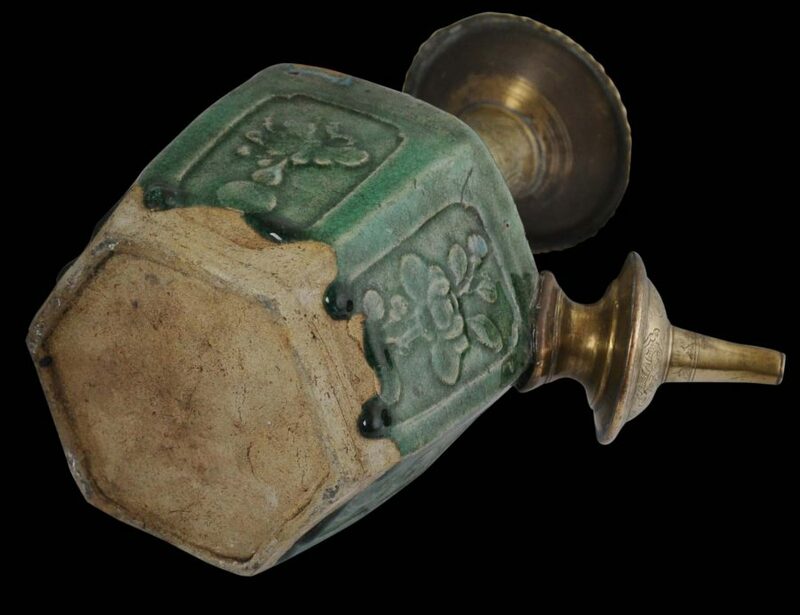 It is of a type favoured by the peranakan Chinese of Java, but also could have been used by Javanese themselves. The green glazed stoneware base is of tapering, hexagonal form, and has six panels decorated with the Chinese flowers of the four seasons as well as pomegranates and finger citrons. It is from China and dates to the 19th century or earlier. 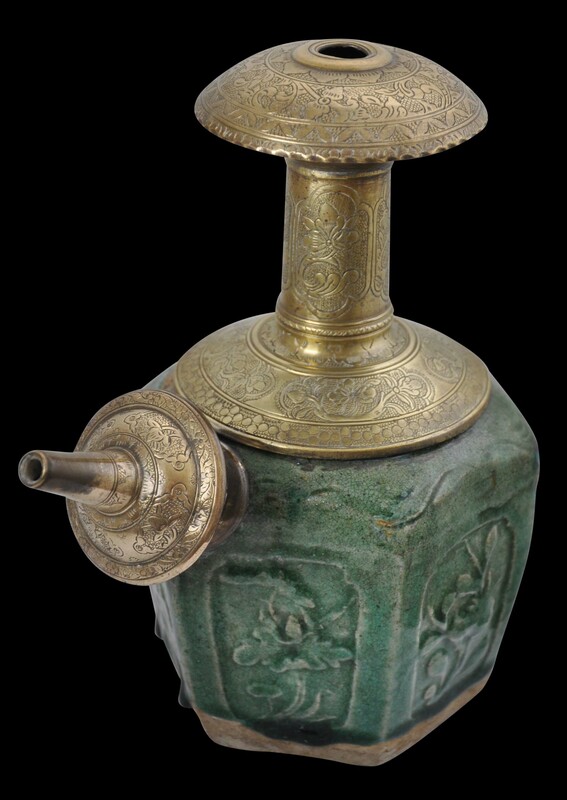 The brass mounts have been added in Java, perhaps in East Java, and comprises the top and the spout. Both have been engraved with Chinese-style flowers and leaves. 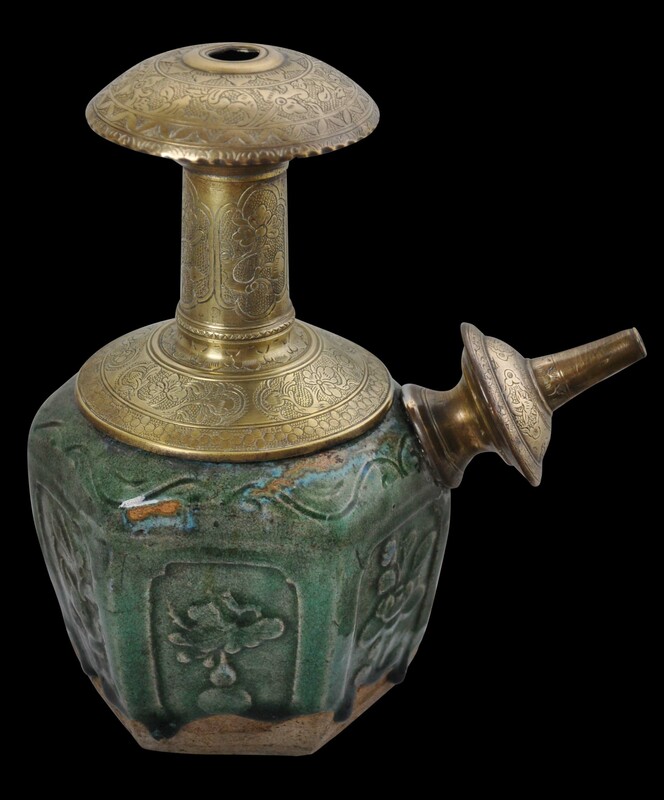 A bronze kendi with similar brass mounts is illustrated in Eng-Lee (1984, p. 73). The example here is in excellent condition. Eng-Lee, S.C. et al, Kendis: A Guide to the Collections, National Museum of Singapore, 1984. Lee, P. et al, Port Cities: Multicultural Emporiums of Asia 1500-1900, Asian Civilisations Museum, 2016.